Whether you're searching for a source to purchase black trumpet mushrooms over the Internet for your favorite dish or you're in the market for a supply of high-quality porcini powder, you've come to the right place. Oregon Mushrooms has a wide variety of mushrooms and other delicious finds for you to choose from. Take a look at our online store to see what's available. From basic dried shiitake mushrooms to fresh and frozen black and white truffles, our selection can't be beat. When you shop with us, you're certain to find something that will delight your palate or make a great gift for your favorite gourmet. Oregon Mushrooms has the pleasure of rounding out our specialty items with high quality truffle products. 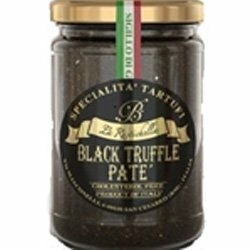 You’ll find black truffle oil and white Italian truffle oils imported from Italy and produced by Sabatini Tartufi, a family-owned and operated agricultural company based in Umbria.